The Medical College of Wisconsin (MCW) Medical Humanities Program and the Ida M. Johnson Foundation will sponsor a special screening of the documentary film “Dark Girls,” as well as a panel discussion with the film’s director and producer, Sunday, September 30, at the Marcus Center for Performing Arts in Milwaukee. 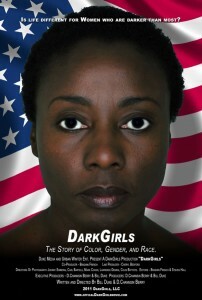 “Dark Girls” focuses on “colorism” within the black community, and the impact of skin tone on women, from individual quality of life to public perception. After the screening, there will be a panel discussion featuring D. Channsin Berry, writer/producer/director; Bruce Ambuel, Ph.D., emeritus professor of family and community medicine; Sheri Johnson, Ph.D., assistant professor of pediatrics in the Center for the Advancement of Underserved Children; and Carol Ping-Tsao, M.D., J.D., associate professor of psychiatry and behavioral medicine at MCW. The presentation is open to the public. Primary care physicians, psychiatrists and psychologists who attend will earn continuing medical education (CME) credit. “Awareness and knowledge can help medical professionals recognize the problem so that they can help patients struggling with self-esteem due to these concerns,” said Arthur Derse, M.D., J.D., professor of bioethics and medical humanities and director of the Center for Bioethics and Medical Humanities at MCW. “Our mission is to provide health literacy programs to encourage positive lifestyle interventions for women and girls. We are pleased to present this Hollywood documentary that explores the deep-seated biases and attitudes about skin color outside of and within African- American culture,” said Matthew Johnson, Ida M. Johnson Foundation spokesperson. Tickets to the film and the panel discussion begin at $20. For information about registration and CME credit for clinicians, call 414-955- 4900. Tickets can also be purchased directly from the Marcus Center for Performing Arts at http://www.marcuscenter.org/TicketsOnline.htm.